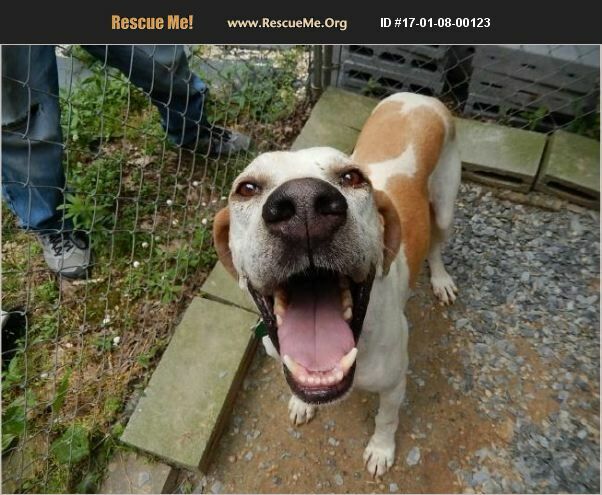 Virginia Treeing Walker Coonhound Rescue View other Treeing Walker Coonhounds for adoption. Hi, I'm Boomer!! I was skinny as a rail when I first came to Peaceful Passings', but look at me now! I'm a happy, healthy guy who just loves my new friend Barney, the small Beagle guy that shares my space. Barney's an old guy like me, but boy are we enjoying our senior years. I'm approximately 10 years old, but don't write me off just yet. I've got a lot of life and love to share with the world. I had 'happy tails' when I first came to the rescue. What is that, you ask? Well, I am such an excitable and happy guy and wagged my super long tail all the time. Unfortunately, that super long tail knocked into about everything and injured it repeatedly. After a while, it was so painful that it had to be removed. So now, I have a docked tail and am much happier - no injuries or pain anymore! I'm an ex-hunting dog (I'm told maybe a Treeing Walker Coonhound mix, but that's just a guess for now), and have the tattooed ears to prove it. I didn't really want to hunt, or maybe I got too old, but whatever it was, they didn't want me anymore. I've got just a touch of arthritis, but that's not a big deal because I am on medications and feel great. What is my best quality? I am love personified. I have a happy personality all my own, but I'm just like you in one very specific way - I just want someone to love me, someone I can call my very own !